It’s almost impossible to believe, in fact. 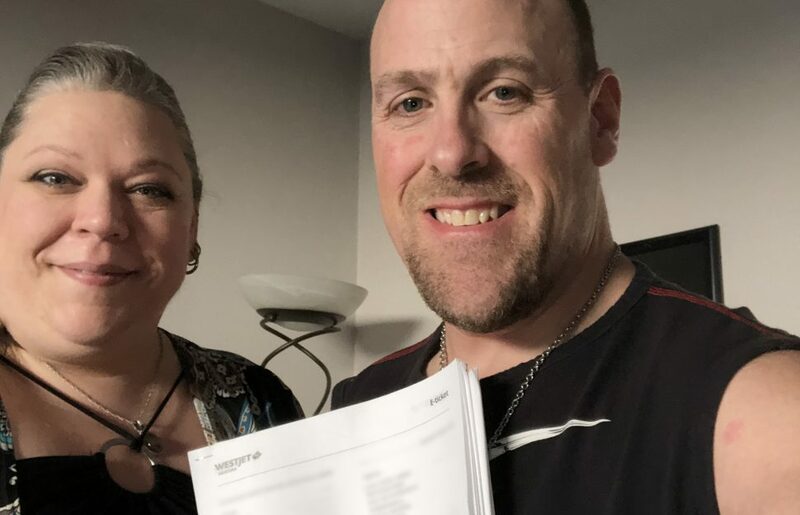 In 2018, the Victoria HarbourCats and Flight Centre teamed up (for a second time) on a promotion that saw someone win a trip-for-two to Las Vegas. The name drawn from the box was Jody Price of Coquitlam. Jody came to one game, Father’s Day. In the midst of fighting cancer and dealing with harsh treatments, he ventured to Victoria and took his dad to a ball game. He bought a program, filled out the form, entered. And won. If ever there was karma, this is it. No one could use the trip more. But it didn’t stop there. Unable to travel, Jody put the trip on hold for when he’d be stronger. While delaying, the couple — who celebrated their ninth anniversary in August — was hit with more news. Erin was diagnosed with kidney cancer. Well, we have great news — Flight Centre was able to finally send them off to their Vegas getaway TODAY (Sunday, April 14th), as they are winning the battle and gaining strength. No one has ever needed, or been more eager, to get away for a few days. DeeDee Sixto and Carey Shelby from Flight Centre completed plans, and they are Vegas bound. 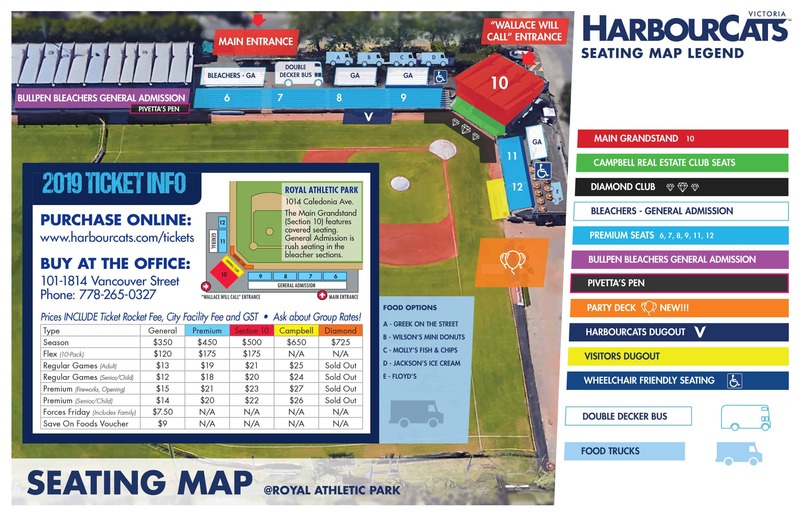 The HarbourCats and Flight Centre have teamed up again on another travel prize for the 2019 season. Everyone who purchases our game day program ($2) and fills out the Flight Centre program form, all season long, and enters the draw will have a chance to win a $1,000 travel credit — to go to Vegas, or anywhere else they wish. The season starts June 1, at Wilson’s Group Stadium at RAP, running through mid-August — and we hope to see Jody and Erin back for a game (or two!). Our pre-season office hours at 1814 Vancouver Street are now 9:30 am to 5:30 pm Monday through Friday and 10:00 am to 4:00 pm Saturday. We are closed (or by appointment only) on Sunday.